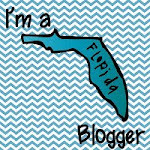 What a great idea for a blog! I am so excited to be the newest follower and they are having a welcome giveaway! I am dubbing myself the Giveaway Goddess, since I think most of my posts have been about the giveaways going on in blogland. Click the link below to enter!